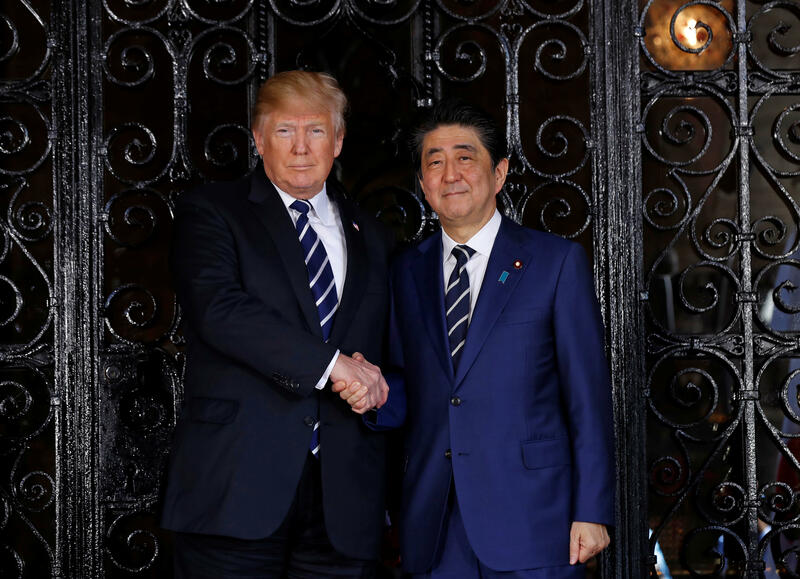 The White House says President Donald Trump and Japanese Prime Minister Shinzo Abe plan to meet in advance of the "expected meeting" between Mr. Trump and North Korean leader Kim Jong Un. According to a White House statement, Mr. Trump and Abe spoke over the phone on Monday. They discussed their shared goal of achieving "the complete and permanent dismantlement of North Korea's nuclear, chemical, and biological weapons and ballistic missile programs," which they agreed was "imperative." The call came amid a whirlwind of activity over the possible June 12 summit in Singapore. Mr. Trump pulled out of the meeting Kim Jong Un last week, but then said a day later that it could get back on track. The White House's latest characterization of the meeting as "expected" appears to be a further sign that it could go ahead. On Tuesday, Japan's U.N. Ambassador Koro Bessho spoke to a small group of reporters, including CBS News. On the goals of the summit, Bessho said, "We should keep maximum pressure on," CBS News Pamela Falk reports from the U.N. Asked what Japan would like to see from the June 12 meeting, he said, "We would like to see comprehensive verifiable irreversible dismantlement (CVID) of nuclear weapons and other weapons of mass destruction; the ballistic missiles dismantled irrespective of range; as well as addressing the abduction issue." On the range of ballistic missiles, Bessho said that the U.S. is worried about the ICBMs, and South Korea more concerned with middle and short range ones. Mr. Trump said Sunday that a U.S. team was in North Korea to work on plans. Another U.S. delegation was in Singapore to work on logistics. The two leaders last met at Mr. Trump's Mar-a-Lago estate last month where the two discussed continuing the international campaign to apply "maximum pressure" on the North Korean regime in the hopes of denuclearization of the Korean peninsula. It was during that visit that Abe noted North Korea's history of empty promises, stressing the need to continue pressure on the North Koreans despite their willingness to come to the table for talks.